You may not believe this one, readers. 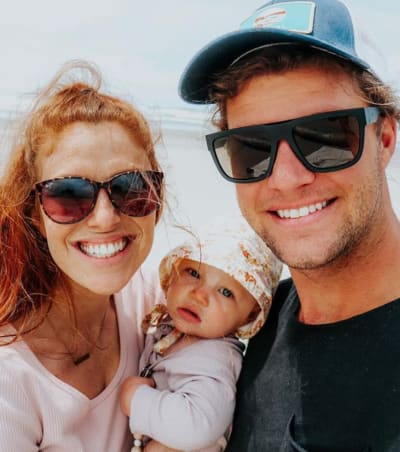 We hope you’re sitting down while you peruse the following story about Jeremy Roloff, his daughter Ember and the criticism the reality star is now receiving as the result of the photo he just shared. Jeremy and Audrey Roloff welcomed Ember into the world in September, a full week after she was due to be born. 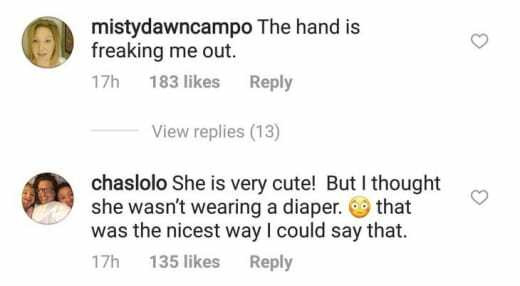 They’ve since been very open and candid about their precious child, posting several photos of her each week and giving us updates on what she’s up to, what she can do now, etc. The kid is a total cutie, there’s no debate about it. 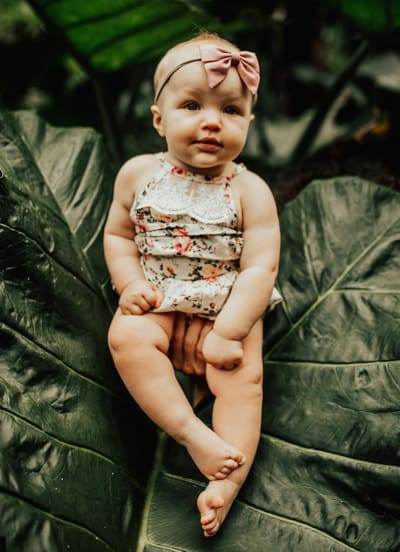 However, in honor of Ember turning nine months old, Jeremy shared a new picture of his first-born. We’ll simply publish it below and then reveal why Instagram followers have actually taken Jeremy to task for the image and for what Jeremy himself is doing in it. 9 months has come and gone. Do they just continue to get cuter? How does one handle cute aggression ? Because let me tell ya, it’s a real thing! wrote Jeremy as a caption to this photo. What problem could folks possibly have with it? For starters, some Little People, Big World viewers wondered whether Audrey ever spends time with her daughter… which is a REALLY weird thing to wonder. Have you seen all these photos of Audrey and Ember?!? The main crux of the critiques, though, stem from the placement of Jeremy’s hand. For real. We’re not kidding. This is not something that ever would have occurred to us were it not for the social media users who pointed it out. If you examine this image closely enough, you’ll see Jeremy is holding his child up from underneath. Again, what’s the big deal, many people out there are likely wondering? 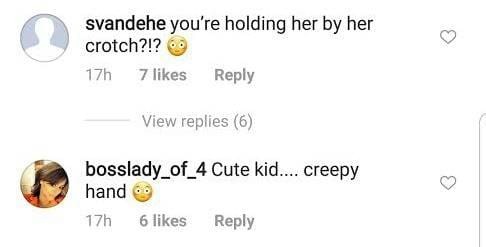 Others, however, are pointing to the “creepy” nature of Jeremy, to be honest and crass, touching his daughter’s private part. We’re pretty much speechless upon seeing these comments. 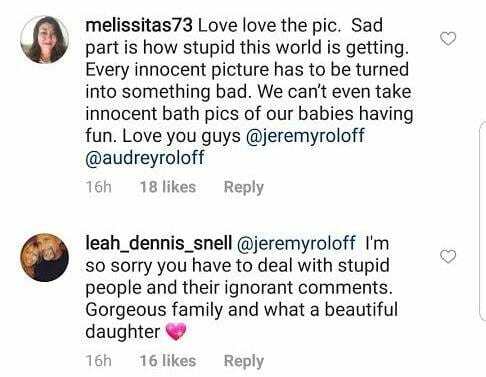 Jeremy and Audrey have shown themselves to be nothing but loving parents and we think it says a lot more about these Internet users than about Jeremy if their minds are really going to this “creepy” place. Where do you stand on this suppose controversy? Is it even a controversy? 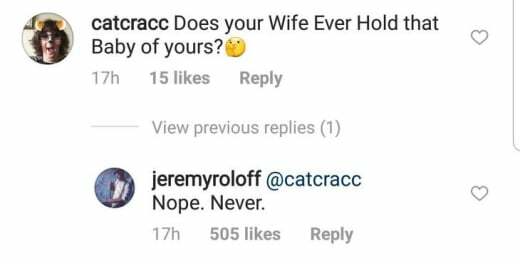 Do you really think Jeremy acted inappropriately here? A caring father excitedly sharing a picture of his daughter on the occasion of a quasi birthday. Stop parent shaming and get your minds out of the gutter.